In a landmark moment in the history of India, some of the most renowned leaders and greatest minds across the globe came together and joined hands in the “Worship to WASH” Summit of Leaders. The Summit, held by the Global Interfaith WASH Alliance, with the technical support of UNICEF, was a historic first to address vital issues surrounding the lack of healthy water, Sanitation and Hygiene (WASH), which results in the deaths of 1,200 boys and girls in India every day. The Summit was inaugurated by the Hon’ble Chief Minister of Uttarakhand, Shri Harish Rawat, and was attended by hundreds of renowned leaders of all faiths, who came together from across India, the United States, England, Europe, Australia and Africa. Welcoming the assembled delegates, Hon’ble Shri Harish Rawat lauded GIWA Co-Founder and President of Parmarth Niketan, Pujya Swami Chidanand Saraswatiji, for the work of the Global Interfaith WASH Alliance (GIWA) and committed the full support of his administration to GIWA’s life-saving mission. Dr. Kalbe Sadiq Sahib, world renowned Islamic scholar and leader, said, “the message must go out from every mosque to observe individual and community cleanliness.” He eloquently cited the example of Prophet Muhammad (Peace be Upon Him) who maintained such high standards of cleanliness that no fly could be seen around him. He also expressed his personal sadness in seeing the rivers of India in their current, overly-polluted condition, whereas the rivers in Europe and US are comparatively clean. Imam Umar Ilyasi, President of All India Imam Organisation, said, “all of India’s mosques, temples, churches and gurudwaras must join forces in GIWA’s WASH Revolution.” He also lauded the mission of GIWA through the efforts of Pujya Swami Chidanand Saraswatiji and praised Hon’ble Prime Minister, Shri Narendra Modi, for spearheading the Swachh Bharat movement for a cleaner, greener India. Archbishop Thabo Makgoba of Cape Town, South Africa expressed deep anguish at the human suffering caused by poor WASH and said it was the duty of faith leaders to strive for the social upliftment of their communities through ensuring access to healthy water, sanitation and hygiene for all. He cited examples of great social movements, saying now is the time for all faith leaders to similarly join forces for a WA SH Revolution. to stop this, just as if someone were shooting these children on their way to school.” The call going out from this Summit’s platform was for the leaders of the world’s faiths who have so far been focusing on prayers, peace, moksha, salvation and meditation, to now also focus on saving lives through WASH, she said. “India leads the world in information technology, but sadly also in the number of children dying every day of preventable diseases due to lack of sanitation. It leads the world in open defecation and of under-five mortality rate among rates. Faith leaders have come together to bridge this gap,” she added. 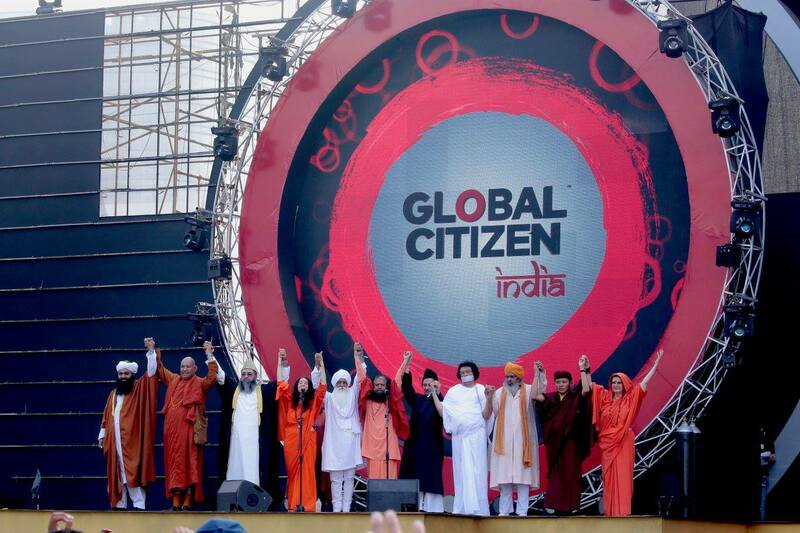 In addition to renowned faith leaders from the Hindu, Muslim, Christian, Jain, Sikh, Jewish, Farsi and Baha’i faiths, the Summit also featured the presence of the heads of several renowned interfaith organizations based in the US, including the head of the Parliament of World Religions (where Swami Vivekanandaji spoke in 1893 in Chicago).